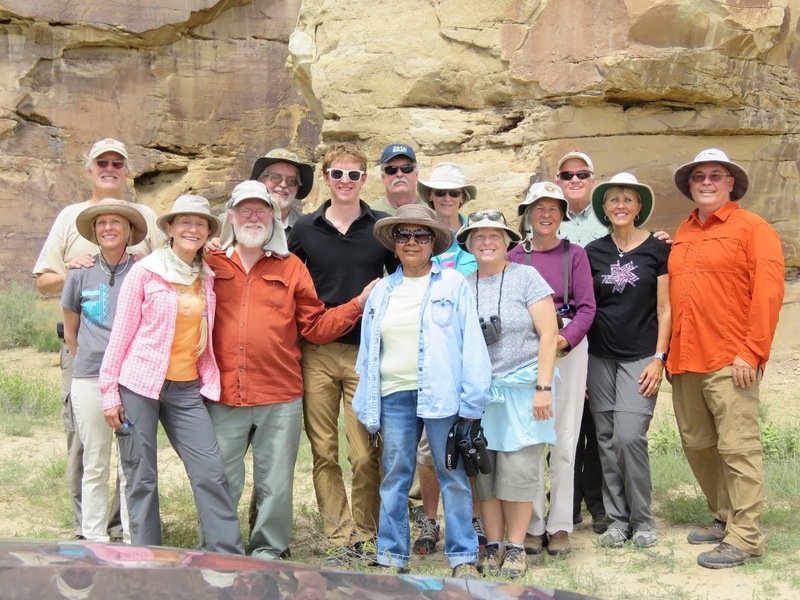 At the end of August I accompanied the Interpretive Partnership volunteers from the Flagstaff, AZ area National Monuments on a day trip to the Hopi Reservation. 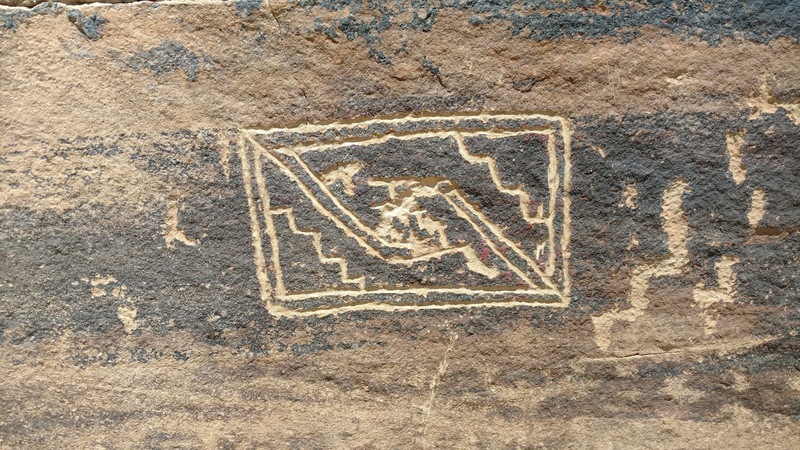 At its center is Kykotsmovi Village (K-Town), home to the Hopi Cultural Center and the sovereign nation’s government complex. 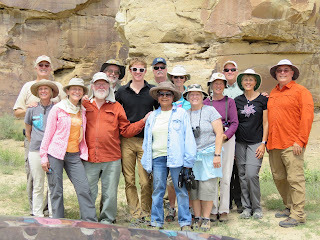 We received an extensive tour of the Dawa Park site consisting of a cliff face more than a half-mile long filled with 15,000 images. You need a permit or guide to visit sites such as this. Dawa is believed to be the second-largest concentration of petroglyphs in the country. 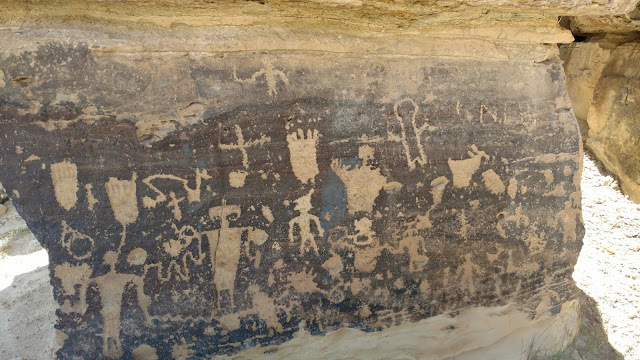 It may possibly contain 15,000 sandstone carvings. Sensory overload was the meme of the day. The images provide a complex overview of the lives of ancestral Pueblo Indians who carved the petroglyphs as far back as 2,000 years ago. 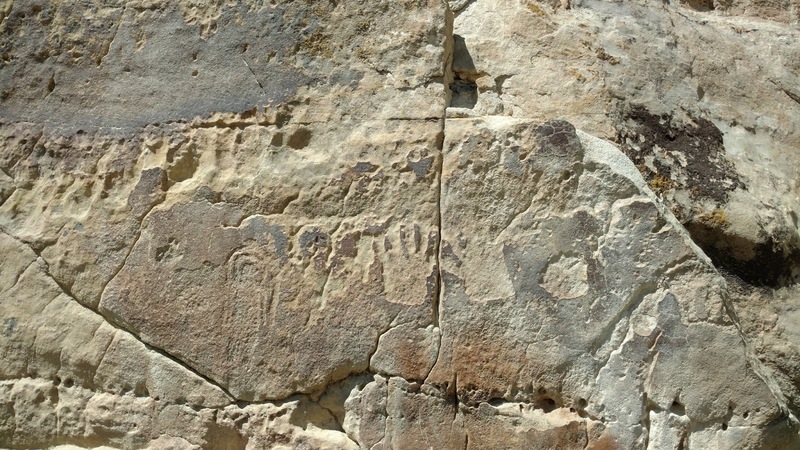 Not all the carvings are that well understood even by natives or academicians that study the images and their many possible interpretations. 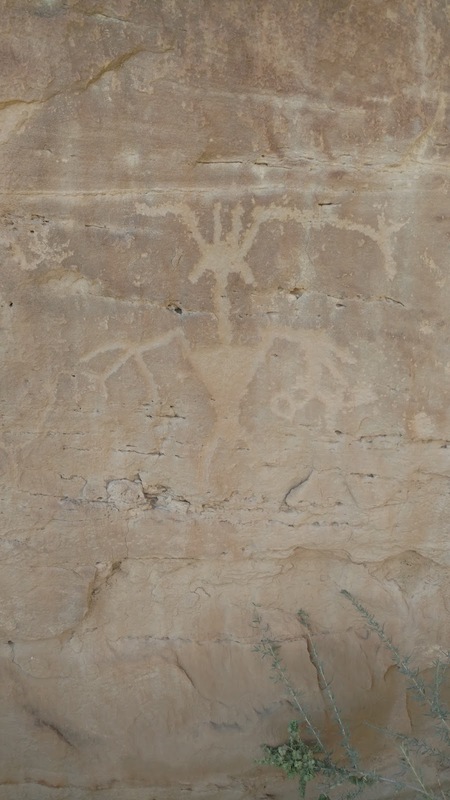 Readers might want to consult this interpretation of Hopi petroglyph writing/art. Below are some of the photographs I took of the carvings. 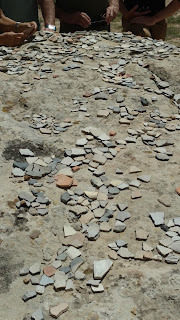 For a better sense of the topography and scope of the site, you should visit this virtual tour of the Dawa site. 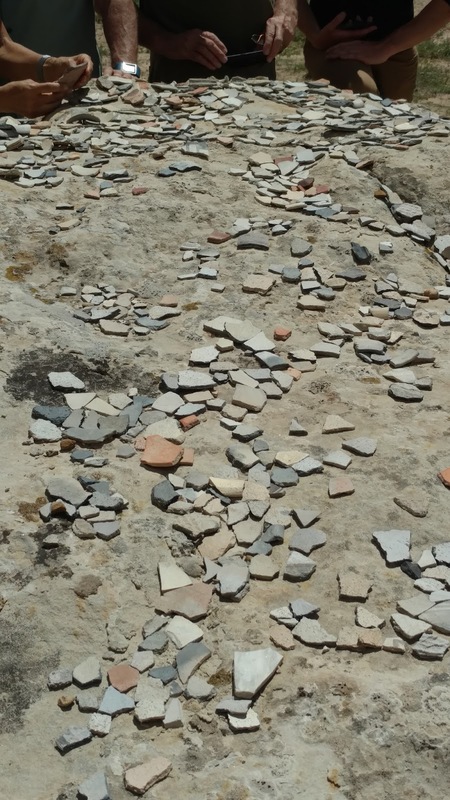 Everywhere you walk in the site a fragments of ancient pottery from the time of habitation. 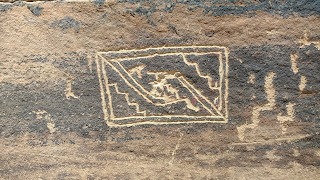 Natives collect some of the shards and place them on display on one of the large display boulders. These cultural artifacts are not to ever be removed. After the cliff tour we visited the Hopi cultural center, had an authentic Hopi family meal, and looked over the many exquisite Hopi crafts on sale, in particular the Kachina dolls. 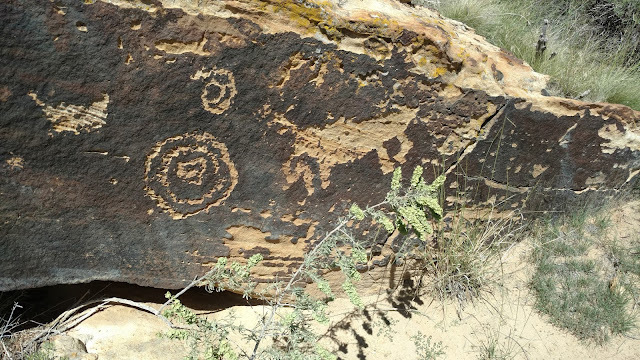 For more information about Hopi cultural center and government operations I suggest visiting the official website of Hopi Nation.